It's no secret that Google has been making a play for SMB market share, a territory long under Microsoft's control. It's a logical goal to pursue as business computing continues to evolve from the local machine to cloud computing—Google's wheelhouse. But can Google succeed at taking customers from business software incumbent Microsoft, even while fending off newer cloud-based competitors? Cloud computing has made the SMB market a goldmine for service providers. Vendors can offer and tailor services (such as databases, programming platforms, unified communications, and more) that would have been out of reach for small businesses due to cost or technical expertise requirements. Still, Google hasn't made significant gains in the enterprise space. I addressed the reasons why businesses have been slow to embrace cloud computing in a recent analysis of Google Apps. Microsoft is in a very unique position that they haven't experienced in my 17 years in the technology business. They're at risk of losing control of the client. For the past 10 years or so, clients have been transitioning from a stationary box connecting them to their network and the internet to mobile devices like notebooks and more recently smartphones. Clients are rapidly becoming more dependent on their iPhone or Droid than they are on their PC or notebook. This has Microsoft executives losing sleep at night. Microsoft partners have been selling tablet PC's for years, but Apple releases the iPad and society treats it like a technological breakthrough! They sell millions of them within months of it's release. Without the foundation laid by the iPhone, this wouldn't have happened. Now Google is following suit with new Android based tablets being built by Motorola and distributed by Verizon. This will lead to millions of more clients switching their loyalties from a Microsoft operating system to those controlled by Apple and Google. What the heck is happening here? Microsoft is used to controlling 95+ percent of the client marketshare and suddenly they're getting schooled and seem to not even be a player any more. Sure, they're coming out with a new Windows 7 Mobile operating systems and telling partners that this game has hardly begun. But this isn't very comforting to me given their spotty history in the smartphone space so far. They need to stop the bleeding and stop it quickly! They need to buy Research in Motion. This idea isn't new. Reuters wrote an argument for this back in October of 2008. If Microsoft aquires Blackerry, it would instantly bring them to the big boy table and make them a major player in the smartphone game. Blackberry is still the strongest player in the smartphone enterprise space with Microsoft still controlling the majority of that backbone infrastructure. The combination of the two would be a huge blow to Google and Apple since neither one of them has been a major player in the enterprise space so far. Will it happen? I don't know. Microsoft certainly has the financial muscle to pull it off, but there could be some antitrust concerns. I'm sure that's the first line of defense that Apple and Google would take. There's also concerns that Microsoft would alienate many of their hardware partners who are going to be introducing the new Windows 7 phones. Microsoft has traditionally avoided the hardware game by depending on their partners to utilize their operating systems and letting them each battle it out over features, pricing, and distribution models. This works when you have 95% market share because no matter who wins the hardware battle, Microsoft would still get it's royalties. This doesn't work so well when your operating system is a 4th or 5th place player. Microsoft does have a precedent to look at. It's called the XBOX. Microsoft realized they needed complete control over the hardware, software, and distribution model to go after entrenched competitors like Sony and Nintendo. This strategy is seeming to work pretty well for them in this space. So make a splash Microsoft. Buy Research in Motion. Quickly consolidate their OS with Windows 7. Introduce a KILLER APP store that will help designers get rich by creating Killer Apps for Windows 7 Mobile and Blackberry. Then let the games begin! The Kindle e-reader may not be Amazon (NSDQ:AMZN)'s only cash cow. Amazon Web Services, the cloud computing division of the Web retail company, is becoming a more important -- and more lucrative -- revenue driver for Amazon as more companies move their business-critical applications to the cloud. So far, however, determining how much revenue Amazon has driven with AWS, which comprises Amazon's 12 cloud computing offerings like Elastic Compute Cloud (EC2) platform, Simple Storage Service (S3) offering and others, has been a challenge. Amazon doesn't break AWS revenue out when it reports its quarterly earnings and instead lumps it into the "other" revenue category. Amazon has only subtly noted that its AWS sales are growing. "We're seeing rapid growth in Kindle, Amazon Web Services, third-party sales, and retail," Jeff Bezos, Amazon founder and CEO said in the company's second quarter earnings statement, offering only a glimpse into the cloud offerings' sales. But a recent report by UBS Investment Research shines a little more light on just how much of money AWS is bringing in for Amazon. In a report, UBS analysts Brian Pitz and Brian Fitzgerald predict that AWS revenue will hit $500 million in 2010. In 2011 AWS revenue will hit about $750 million, the analysts predict. And come 2014 AWS could capture roughly $2.5 billion in revenue. At a press event at its headquarters this morning, Google announced Google Apps for Government-a new version of its Google Apps productivity suite that's been certified by the US government as meeting its security requirements. The new version is a variant of Google Apps Premier edition, and includes the same core apps: Gmail, Calendar, Docs, Sites, Groups, Video, and Postini. Pricing is the same as for Google Apps Premier: $50 per user per year. The certification says that Google Apps qualifies for is called a FISMA-Moderate rating, which means that it's authorized for use with data that's sensitive but unclassified. In addition, Google says that it's storing government Gmail and Google Calendar on servers that are isolated from those used for non-government customers, and which are located in the continental US. Steve Ballmer recently said that Microsoft is “All In” when it comes to Cloud Computing. But will the channel call his bet or will they drop out of the game? My name is Todd Swank and I’m the Vice Marketing of Nor-Tech out of Minnesota. We’re an OEM System Builder who has traditionally earned our revenues from creating hardware solutions and pre-loading them with Microsoft Operating Systems and Microsoft Applications like Office. As customer demands have shifted over the past few years to mobile solutions, we have found ourselves forced to becoming resellers for Multi-National Manufacturers like Lenovo, HP, and Toshiba. Current customer demands seem to be shifting to even more and more mobile devices. Customers are demanding that their data and applications be available to them anytime, anywhere, and from any device. They’re demanding Cloud Computing. So the question becomes, how does a company that has traditionally made its money by reselling hardware solutions make the transition into a company reselling cloud services? iii. Live Services --- free programs from Microsoft for photos, instant messaging, e mail, blogging, family safety, and more. b. This is where the majority of our focus has been so far because it appears to have the most developed Partner program. b. Conference calls with Microsoft Online Services Reps.
c. signed up to be authorized resellers for BPOS and passed the assessment test, so I’m officially in the program. 1. How cool it is that it’s constantly being improved. Microsoft is continually adding enhanced features and functionality to improve customer experience. Seamless. Customers don’t have to do anything to enjoy these improvements. Thanks to Microsoft for doing so much already to give the channel opportunities to start selling Cloud Services. • Microsoft has arguably the best channel program in the business. Microsoft Online Services are already off to a great start providing partners with a roadmap showing them how to take advantage of the program. • Microsoft is generously offering partner commissions on Online Services sales into perpetuity as long as the Partner remains as the client’s POR (Partner of Record). • Microsoft has great training programs and marketing incentives for Online Service partners. EG Giving Partners 250 seats of BPOS for testing and demonstration purposes. There are already thousands of resellers signed up to sell Microsoft Online Services! It’s a great program and a natural fit for resellers who already have solid practices selling enterprise agreements and have existing service businesses in products like Sharepoint and Exchange. However, Microsoft’s system builder partners have traditionally earned their revenues selling their custom hardware solutions and will need a lot of guidance to create new revenue streams by offering Microsoft Online Services. 2. You want me to sell what? There are challenges transitioning existing business models to the new models. A Direct Revenues are going to be a challenge. $1.80 per user per month for the first year and $.60 per user per month is not going to provide a great Return on investment until partners sign up thousands of users. B There doesn’t appear to be opportunities in Microsoft Online Services for Microsoft Partners who have built their business around selling to other Microsoft Partners and VARS. C. Customer relationships seemingly will shift from the Partner directly to Microsoft in the long run since the customer will have the perception they’re buying direct from Microsoft and much of their service and support will be handed directly by Microsoft. This will create tension between Microsoft and its Partners. A System builders can leverage their existing relationships with end customers and become their trusted advisor for Online Services. B New revenue streams from services including data migration from the data center to the cloud, Sharepoint Consulting, and Exchange Consulting. C 70% of Microsoft Online Services sales expected to be to new customers. Huge growth opportunity with SMB. Here’s some of the ideas we have to help the channel recognize the opportunities and be inspired to take advantage of them. I think the most important thing we need to do is to explore opportunities to give system builders the incentive and ability to offer Microsoft Online Services at the time of the hardware sale. 3. Customizable marketing flyer explaining BPOS free trial offer similar to what was done for Office 2007 and explanation how to name system builder as partner of record. So Steve Ballmer says Microsoft is All In on Cloud Computing? Well, the cards have been dealt, the pot is full of big money, and the players are watching each other and getting ready to make their move. I’m excited for us to lay our cards on the table and see how we’re going to do. The personal computer revolution began as an attempt to move away from centralized control, allowing people to have a system that was powerful, yet individualized. Big companies who hogged computing were seen as evil. Soon everything became self-contained and desktop-centric. There was desktop publishing, desktop marketing, desktop mapping. Now everything is supposed to move to that mainframe in the sky—the cloud. But the cloud stinks. Its applications have always been much slower than their desktop counterparts. Try to get to the end cell of a large cloud-based shreadsheet. You'll long for the desktop version. The whole process is exacerbated by the speed of the Internet. The Internet is also unreliable. A couple of weeks ago, I was down for two hours. A month ago, I lost my connection for 20-plus hours. And where is Microsoft in all of this? The company seems to keep forgetting what business it's in. While Windows 7 and Office continue to be huge cash cows with no end in sight, the company is encouraging the idea of cloud computing by claiming that that is the direction it's headed in, as well. Huh? Enterprise cloud and managed hosting provider OpSource, Inc.has announced the OpSource Partner Ecosystem, a comprehensive new program designed to enable integrators, developers, ISVs, development platform companies and service providers to offer integrated solutions for their joint customers. Opsource's traditional business has been selling to enterprise customers, initially traditional software-as-a-service and ultimately to enterprise-class cloud applications in a highly virtualized environment. "Much of our business was big direct contracts, but with the growth of the cloud business we found that about 35 percent of our customers who signed up weren't using it themselves, but were using it to implement solutions for other companies," said Treb Ryan, CEO of OpSource. "They were SIs, VARs, telecoms, cloud platform companies, who were using it to deploy and sell other solutions." Rackspace on Monday launched an open source cloud computing project the company hopes will make proprietary cloud computing a thing of the past. The San Antonio-based hosting and cloud king teamed up with NASA to launch a bold open-source cloud computing initiative dubbed OpenStack. Through OpenStack, an open source cloud operating system, Rackspace hopes to inch closer to cloud technology standards and cloud interoperability, said Mark Collier, Rackspace vice president of business and corporate development. With OpenStack, Rackspace hopes to facilitate "broad adoption of a standard cloud platform." With OpenStack, Rackspace is donating the cloud computing code that powers its Cloud Files and Cloud Servers public cloud offerings. The project will also tie in the technology that powers NASA's Nebula Cloud Platform. The pair will collaborate on developing and leveraging the efforts of open-source software developers. Google has launched a program to certify resellers on Google Apps Education Edition. In return, Google is offering their partners better marketing support, more training opportunities, and business visibility in the Google Apps marketplace, the search giant says. It’s all part of Google’s continued push into the education space. Here’s the skinny. Part of the announcement involves new customer deployments. Two examples: The states of Colorado and Iowa are now offering Google Apps to their public schools, a key set of wins in the education space after Microsoft BPOS claimed the University of Arizona. And for schools wanting a self-service approach to learning the ropes, Google is promoting the Google Apps Education Training Center, which they say is designed to walk the novice through their offering. But for Google Apps resellers, the main event, so to speak, is the Google Apps for Education Certified Partner program. To qualify as a certified partner, you need to employ at least three people who have achieved “Qualified Trainer” status by passing the online examinations and demonstrating a history of providing training and support to large clients. At this week’s Worldwide Partner Conference, Microsoft officials shared with attendees their “official” roadmap for updating the company’s hosted Business Productivity Online (BPOS) suite. Company officials shared which features and capabilities that the company rolled out already as part of the on-premises server complements of the BPOS products will be added to the Microsoft-hosted versions of those offerings. I’ve run a few slides on this blog over the past couple of months, dating back to November 2009, that included much of this same information. But it wasn’t until this week that Microsoft officials acknowledged these details. I’ve heard that customers of the Dedicated (i.e., non-shared/non-multitenant) versions of Microsoft’s BPOS and its point-product parts — Exchange Online, SharePoint Online, Communications Online and Live Meeting — already have some of the 2010 feature updates. But those using the “Standard” (multitenant) versions do not. Fred Studer, general manager of Microsoft's Information Worker group, says partners that go all-in with Microsoft in the cloud won't regret the decision. Global cloud computing services revenue is expected to hit $148.8 billion come 2014, representing a monster market opportunity for solution providers, according to recent Gartner research. That massive boom in the cloud computing services market comes as cloud services are expected to hit $68.3 billion this year, a dramatic 16.6 percent rise compared to 2009 cloud services revenue, which was $58.6 billion. "We are seeing an acceleration of adoption of cloud computing and cloud services among enterprises and an explosion of supply-side activity as technology providers maneuver to exploit the growing commercial opportunity," Ben Pring, research vice president at Gartner, said in a statement. "The scale of application deployments is growing; multi-thousand-seat deals are increasingly common. IT managers are thinking strategically about cloud service deployments; more-progressive enterprises are thinking through what their IT operations will look like in a world of increasing cloud service leverage. This was highly unusual a year ago." Cloud computing will eclipse the traditional desktop by the end of this decade as a majority of people will use the Internet for applications and accessing information, according to a new study by the Pew Research Center. By 2010, the majority of computer users will be using Internet-based applications and devices such as smartphones instead of general purpose PCs as their primary means of accessing IT, according to 71 percent of the respondents to a survey by the Washington, D.C.-based non-profit research center. Only 27 percent of respondents believed the opposite, that the majority of users will still access applications using general purpose PC, according to the report. Microsoft (NSDQ:MSFT) Monday rolled out a limited beta of Windows Intune, a new cloud desktop management service aimed specifically at midmarket firms that need to remotely manage and secure PCs in branch offices. Midmarket firms -- which Microsoft defines as having between 25 and 500 PCs -- don't often have large IT teams, and they usually scrape by with just one or two employees. In Microsoft's view, this makes them logical candidates for cloud services. Microsoft says it's seeing a solid trend of midmarket customers migrating to cloud services, so the software giant is moving desktop management to the cloud as well. "Windows Intune is a complete desktop infrastructure management solution-in-the-cloud that simplifies management and security of PCs, no matter where users are located," said Sandrine Skinner, a product marketing manager on the Windows Client team, in an interview. IBM (NYSE:IBM) wants to break down the silos of cloud services and has revealed plans to integrate a host of cloud applications into its LotusLive Software-as-a-Service (SaaS) collaboration suite. IBM on Wednesday said LotusLive will now integrate with cloud-based services from Salesforce.com, shipping giant UPS, Skype and Silanis e-signature. Along with the integrations, IBM unveiled a new cloud computing bundle of enterprise-class e-mail and social networking tools that Big Blue promises for only $7 per user, per month. The bundle wraps together the capabilities of the LotusLive iNotes Web-mail, messaging and calendar offering, and the LotusLive Connections social networking and collaboration platform. Combined, the bundle offers businesses file storage and sharing, activity management, instant messaging and social networking services. IBM said the bundle takes advantage of the cloud by letting users work with anyone from anywhere over the LotusLive collaboration suite. The cloud-focused moves by IBM are the computing behemoth's attempt at breaking down the barriers between cloud applications and streamlining business processes by enabling access to various business-necessary apps directly through its LotusLive offerings. "Companies are not failing when they make the leap, they're failing when they don't make the leap. If you don't make this leap you are definitely going out of business. I don't know what's going to happen if you do it, but if you don't you're definitely going out of business. I think they see that writing on the wall." For those of you that have missed how the iPhone is being used to deliver private and public clouds, go right to Wyse Technology and check out the company's PocketCloud for the iPad and the iPhone. Wyse's $30 app downloadable from the Apple (NSDQ:AAPL) App Store is right now being used on 10,000 Apple smartphones to access cloud applications of all kinds. Tarken Maner, the hard-driving president and CEO of Wyse, sees that number growing by an order of magnitude with the release of Wyse's iPad PocketCloud application. "We will be on every iPad," boasts Maner. "This is the killer application. This is a Tablet business PC running Windows 7 on a Mac OS! How crazy is that." Maner says that VARs that don't get on board and start moving customers to thin clients like iPad and smartphone are going to miss out on a major shift in how business is done in corporate America. Hosting and cloud computig provider RackspaceHosting has announced at its Rackspace Email & Apps Reseller Conference that the cloud-based applications division has plans to restructure its reseller program, which will emphasize the company's commitment to channel partners through increased revenue opportunities, new training and marketing resources, and an expanded product portfolio. The announcement parallels recent updates from Rackspace to boost partner programs for Managed Services and The Rackspace Cloud to aggressively grow the company's presence in the channel. "We've always had the sense we needed to put more resources into our reseller channel marketing, and now is the time to step up our offerings," said Kirk Averett, Director of Product, Email & Apps Division at Rackspace. "We are seeing increased demand for hosted email applications, from people who didn't think they needed to consider this type of application in the past -- especially as some big names have gotten into the market." Google has launched an online marketplace where third-party suppliers of on-demand applications that supplement Google's own applications can show off their wares. Taking a page from the strategy books of Apple's App Store and other online software marketplaces, the new Google Apps Marketplace offers cloud-based applications that integrate with Google Apps. 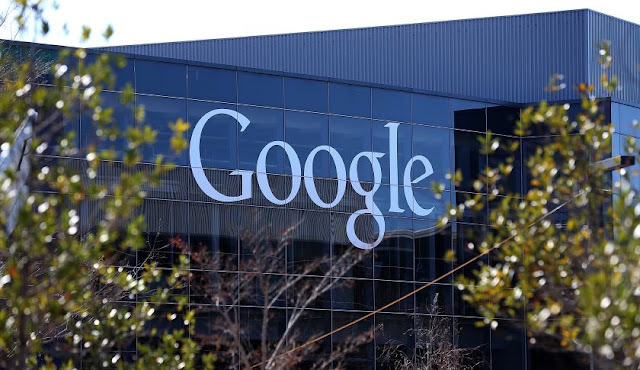 At the time of the launch late Tuesday Google said more than 50 companies were participating. Google Apps today includes the company's email, calendar and Google Docs document, spreadsheet and presentation applications, among others. "We're often asked when we'll offer a wider variety of business applications " from accounting and project management to travel planning and human resources management," said product manager Chris Vander Mey in a statement. "But we certainly can't and won't do it all, and there are hundreds of business applications for which we have no particular expertise." Whether you're fully enmeshed in cloud computing or just dipping a toe in the cloud waters, in many cases it's going to be up to vendors to get you up to speed. Selling into the cloud is dramatically different than hardware sales and selling software licenses. Solution providers have to be ready to embrace monthly annuity payments and change their business models to accommodate them. They also have to sharpen their services focus to help customers adjust to new computing, storage and application environments. Here we look at 10 vendors who get it. Ten vendors who have launched cloud-focused channel programs that enable their partners to go out and engage customers while ensuring those solution providers will have success doing so. These are the ones to beat. With cloud computing square in its sights, Microsoft (NSDQ:MSFT) Corp. at XChange Solution Provider this week in Los Angeles detailed a new lineup of cash and marketing incentives that the software giant said will help partners sell into cloud environments. Fred Studer, general manager of Microsoft's Information Worker group, said the new incentives show Microsoft is serious about the cloud and it wants to fuel partner success. The new incentives come after CEO Steve Ballmer last week outlined Microsoft's overall strategy for cloud computing. To help on-board partners, Microsoft has launched a cloud-focused partner Web site for partners building or extending cloud practices. Dubbed QuickStartOnlineServices.com, the site offers partners access to cloud assets such as marketing plans, marketing templates, call scripts, and other customizable marketing materials. It also offers tools such as an RFP template, business plan building tools, migration tools and tips on how to deliver in cloud environments. A major benefit of cloud computing, according to its proponents, is that it reduces the amount of computer hardware and IT infrastructure companies need to run their businesses. So you would think that cloud computing would be bad news for custom system builders who make their living assembling computer hardware for their customers. "It's a complete reversal from the traditional custom system builder approach," said Todd Swank, marketing vice president at Nor-Tech, a Burnsville, Minn.-based custom system builder. "We start with the hardware sale and the cloud is all about not having hardware." "We're trying to figure out how this affects our hardware sales," agreed Joe Toste, sales and marketing vice president at Equus Computer Systems, a Minneapolis-based custom system builder. But while the growing adoption of cloud computing could spell trouble for custom system builders, Swank is convinced there's a golden opportunity in them thar cloud systems. "It's going to be the wave of the future and how we make money on it is the question I'm trying to figure out," he said. Google (NSDQ:GOOG) and Microsoft (NSDQ:MSFT) compete vigorously in areas like search, mobile devices, and SaaS applications, but when it comes to the channel, there's no comparing the two companies. This week, as Google celebrates the one-year anniversary of its Google Apps Authorized Reseller Program, the notion of Google becoming as synonymous with the channel as Microsoft is doesn't seem as far-fetched as it used to. That's not to suggest that Google hasn't encountered difficulties along the way. Solution providers tend to regard vendor newcomers to the channel with the cold, appraising eye of a father sizing up his teenage daughter's first boyfriend. So when Google launched its program last February, many VARs that have built businesses around face-to-face interactions were skeptical. And in some early cases, their suspicions were confirmed. Some VARs that tried to engage with Google were irked by being unable to reach a human company representative, and didn't appreciate being steered instead to Google's Web-based support. Daniel Duffy, CEO of Valley Network Solutions, a solution provider in Fresno, Calif., says that based on what he's seen from Google thus far, the company isn't quite ready to build meaningful channel relationships. The company's new Double-Take Cloud disaster recovery offering lets customers quickly recover operations to the cloud in case of a disaster at their production site, said Peter Laudenslager, senior manager for the cloud recovery program at Southborough, Mass.-based Double-Take. It is aimed at customers who either do not have access to a remote disaster recovery site, or whose remote site is already maxed out in terms of power or other resources, Laudenslager said. Double-Take Cloud is based on the company's data protection software, which includes such storage services as replication and rapid recovery, and adds Amazon EC2 on the back end, Laudenslager said. The Rackspace Cloud, the cloud computing division of Rackspace Hosting has announced its' new Partner Program for resellers and affiliates. The emphasis was on designing a flexible program that streamlines interactions between the company and its solution partners, and which makes it easy to do business with Rackspace Hosting. With the new program, these partners can leverage simple set-up, sign-up and payment processes, both for themselves and their customers. The program includes online resources such as a web portal for tracking and reporting; webinars and marketing collateral; opportunities for co-marketing; and open, standards-based APIs that are easy to build upon. The Rackspace Cloud also provides end-user billing and end-user support services to help eliminate time-consuming tasks from the partner's day-to-day business. Simon Whittle, the COO of The AIS Group , a longtime Berkeley, Calif. Microsoft (NSDQ:MSFT) Dynamics GP accounting solution provider, decided it was time to add a cloud solution last summer after losing a number of deals to cloud/SaaS pioneer NetSuite. The "tipping point" came after a notoriously conservative financial customer that The AIS Group had worked with in the past decided to go with NetSuite rather than Microsoft Dynamics GP. Whittle says The AIS Group was "surprised" by the customer's decision, given what had been a hesitancy among financial customers to "give up control of IT and data management for obvious reasons including regulatory" requirements. The customer was impressed by NetSuite's ability to offer a global solution via the Web with full Asian double byte language support. That meant full support for Asian countries where the customer was doing some outsourcing. That language support and NetSuite's ability to provide solid 24 hour-a-day, seven-day-a-week support were critical factors. That deal was also a wake-up call of sorts for The AIS Group, which decided to look at becoming a NetSuite partner. To The AIS Group's pleasant surprise, a number of the executives from NetSuite had their roots in the ACCPAC Software that The AIS Group had sold at one time. "The NetSuite guys heading up the channel were all old industry guys," he said. "They had been around the block just like us." That made the move more comfortable for The AIS Group which brought on the NetSuite product line last October. The largest technology companies in the world are at war. Sure, the executives who run Cisco, Hewlett-Packard, IBM, Oracle, and others appear to play nice: Cisco touts the "regular dialogue" between its CEO, John Chambers, and IBM's chief executive, Sam Palmisano. Ann Livermore, an HP executive vice president, spoke at Oracle's annual customer event in October and extolled the virtues of their partnership. And because large customers buy software, gear, and services from all the tech giants, their staffs must work together to get computers and networks up and running. Don't be fooled by the handshakes and air kisses. Increasingly these titans are invading one another's territories in a bid to grab as much of the $1.5 trillion in projected 2010 worldwide corporate tech spending as they possibly can — and it's going to get bloody. Customers have cut their tech purchases, and when they do loosen their purse strings, they are buying software and services that help them run their systems more cheaply. To boost sales and profits in this low-growth environment, technology companies are bulking up by buying companies in entirely new businesses. U.K.-based ThinkGrid is looking to take the U.S. channel by storm and already has its sights set on what will surely be its largest competitor: Microsoft (NSDQ:MSFT). "Some of the big vendors you associate with being channel-friendly are becoming channel-unfriendly," ThinkGrid CEO Rob Lovell said in an interview. Specifically, Lovell called out Microsoft and its BPOS SaaS application suite channel saying Microsoft BPOS VARs tend to receive thin margins. ThinkGrid is looking to take on Microsoft and woo away its BPOS partners as it prepares to launch its first official channel program in the U.S. after 18 months in the UK. Amazon (NSDQ:AMZN) has reduced its pricing structure for outbound data transfers in Amazon Web Services (AWS) dropping it by two cents per GB across all of its services. The move comes as Microsoft (NSDQ:MSFT) officially launches its Windows Azure cloud computing platform as a pay service, prompting some industry watchers to see the AWS rate decrease as a signal of a price war about to erupt. According to Amazon, the reduced charges include Amazon EC2, Amazon S3, Amazon SimpleDB, Amazon SQS, Amazon RDS and Amazon VPC. "We are constantly working to drive our costs down and become more operationally efficient," Amazon's Jeff Barr wrote in a blog post. "We then pass on those cost savings to our customers in the form of lower prices." Effective February 1, AWS reduced the price of the first 10 TB per month from 17 cents per GB to 15 cents; the next 40 TB per month is reduced from 13 cents to 11 cents; the next 100 TB per month is lowered from 11 centers to 9 cents per GB; and over 150 TB per month is now reduced from 10 cents to 8 cents. Microsoft (NSDQ:MSFT) on Monday launched its Windows Azure cloud computing platform as a paid service, but smaller companies are unlikely to be among its first customers. That's because Azure doesn't currently include a pricing option that makes sense for smaller applications. It's hardly a new issue: Developers have been talking about this since last July when Microsoft revealed its pricing model for Azure. But with Microsoft now going up against established cloud computing competitors such as Google, Salesforce.com and Amazon, it could impede Microsoft's progress in the market. With Azure, Microsoft charges 12 cents an hour for 'compute time,' which means that even a small Azure instance costs around $86.40 per month, plus storage and bandwidth charges. According to Roger Jennings, an independent .Net developer and principal consultant of OakLeaf Systems, Oakland, Calif., this locks out very small, low traffic Web sites that typically use much cheaper shared hosting options.